Welcome to the Dartmouth Insider’s Survival Guide. You’ve written an essay explaining why you want to come to Dartmouth. You’ve maybe visited campus and learned (but forgotten) where things are. You’ve scrolled through the Dartmouth meme page. But maybe you don’t feel like you have a grasp of where exactly you’ll be living for the next four years. Maybe the memes on the meme page don’t make sense just yet. Perhaps you feel nervous about what Hanover winters are really like, and what “warm layers” means. Some of you will rely on College Confidential to figure out how much clothing to pack, and others will rely on the advice of their elder siblings. But if you do not feel like going through blog posts from 2006, or do not have the wise guidance of an older brother or sister, have no fear. The Mirror’s “Insider’s Guide to Dartmouth” is here. We are easily foldable, highlightable and memorizable. 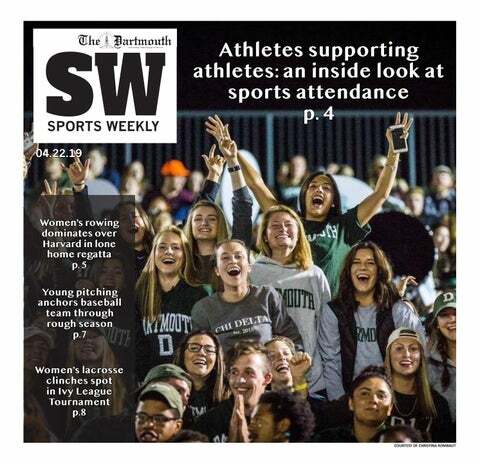 Our tips and tricks will give you a glimpse into the your new life as a Dartmouth student. In some ways, the issue is improperly titled as a survival guide. There will be moments during freshman year when you’ll feel challenged, and sometimes it may feel like the most trying time of your life. But we don’t want you to just survive freshman year, we want you to conquer it.